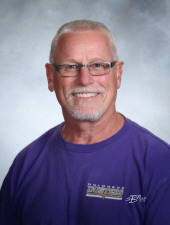 Bruce Bricker, Holdrege Elementary Physical Educator Teacher and longtime Wrestling coach, is being inducted into the NSWCA Hall of Fame (Nebraska Scholastic Wrestling Coaches Association). Mr. Bricker coached wrestling for 29 years in Holdrege and was previously assistant head coach at Nebraska City for 5 years. The induction ceremony will be held in conjunction with the 38th Annual Hall of Fame Banquet on Friday June 7, 2019 in Grand Island. Congratulations Coach Bricker! Holdrege High School is proud of you and your accomplishments!